I think Grandma is under the impression that I like bbq rat because I took a ton of pictures of cooked rat the last time I was here. I didn’t want to hurt her feelings so I ripped off a chuck to have a go at it. I’ve had rat before so I was expecting anything different. 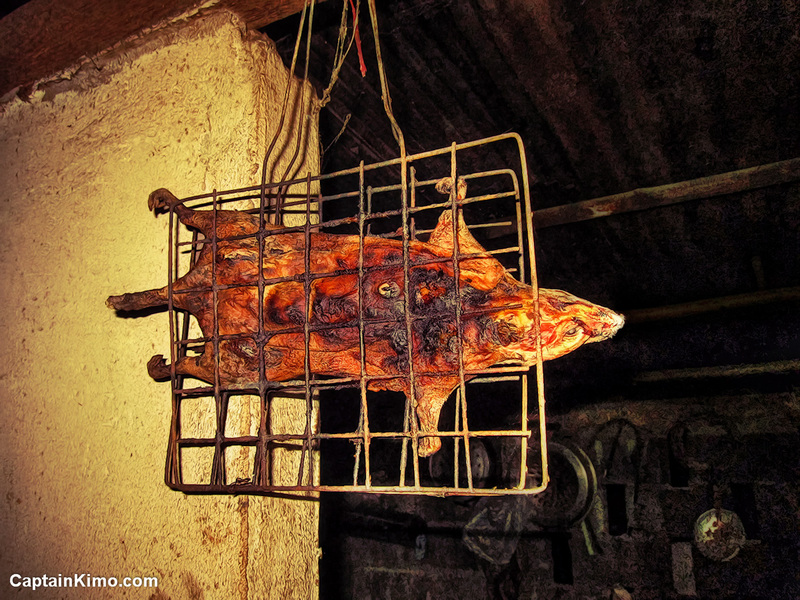 Rat meat is very gamie and no matter how much you cook it, it never taste like it’s been cooked long enough. This time however, it wasn’t! As I broke a piece off I saw, blood flowing off the bone. There was no way I was going to eat raw rat meat so I told Grandma to chop it up and fry it in little pieces to ensure that it’s cooked properly. After 30 minutes in the frying pan it still tasted raw.